WINNIPEG, MANITOBA – Today via the Butterfly project website, “Alex’s Scarves” launched online with the goal of raising yarn and fleece donations to make 60 scarves for children in grades 1 – 3 at a Louis Riel School Division elementary school. 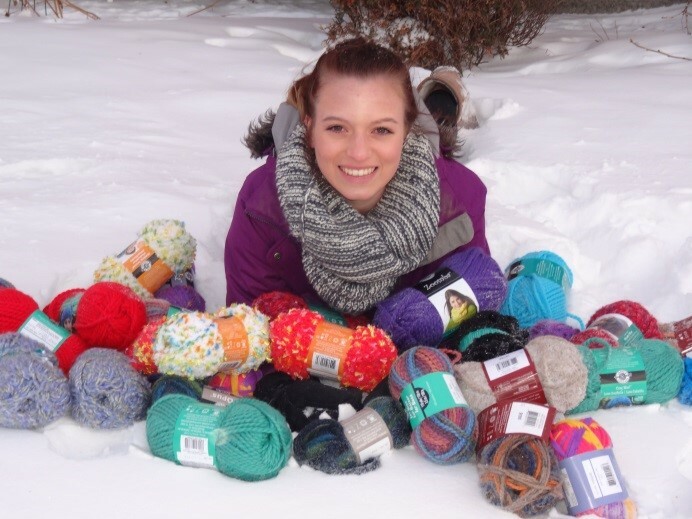 Alex Arrigo, a grade 12 student at JH Bruns Collegiate, along with 10 – 15 of her fellow classmates, are all volunteering their time to make the scarves and have future plans to provide scarves to children in other schools. Alex is asking for donations of yarns in multiples of two skeins, each with a weight of 6, and fleece, a minimum half metre in length, which will all be used to make customized scarves for boys and girls. Donations can be dropped off at JH Bruns Collegiate (250 Lakewood Boulevard) or Protegra (67 Scurfield Boulevard) between 8 a.m. – 4 p.m.
Butterfly exists to help people change their community. It does this through both building their ideas and connecting them to potential donors and project specialists and coordinators. The ideas are generated by youth with help from people within their community - including organizers, teachers, volunteers, and program directors. Butterfly is enabled by Protegra, a Manitoba-based software-enabled solutions company that has served public and private sector clients around the world since 1998.